Local musicians, artists, and friends gathered in North Kansas City on Thursday evening for Breaking The Silence, a show benefiting MOCSA (the Metropolitan Organization to Counter Sexual Assault). Singer-songwriter Payge Turner was backed by a full band for a set that included original songs and a few covers, while Rachel Mallin -- known for playing with her band The Wild Type -- opted for a somber, stripped-down set. Poet Sheri Hall performed a gripping composition aimed at lifting up sexual assault survivors that don't fit the stereotypical picture of being a thin, white woman without disabilities. The night was closed out with a speech of encouragement from another sexual assault survivor and a set from hip-hop duo The Black Creatures. 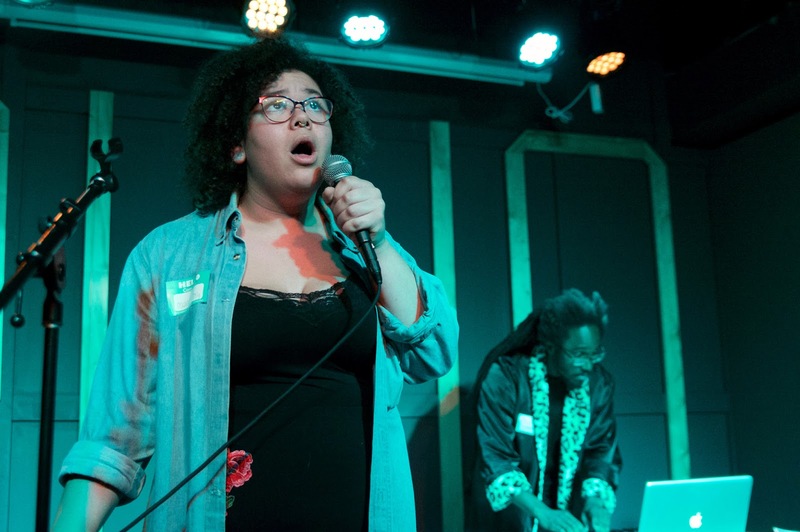 Jade Beomh, the acting frontwoman of the duo, used her bubbly stage persona and clever rhymes about love, science fiction, and consent -- a fitting theme for the night's cause -- to win over the friendly crowd. Several visual artists also put their work up for sale to benefit MOCSA.